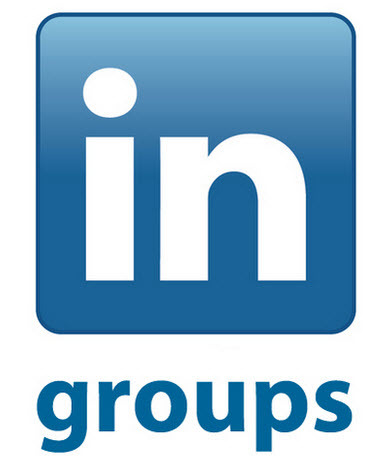 LinkedIn groups provide a unique way to communicate and build relationships with your target audience. Finding and participating in the right groups can be a key for both lead generation and generating results using LinkedIn. We recently had the opportunity to interview Cindy Kraft, the CFO-coach, who has built a very powerful business asset through growing a LinkedIn group for her CFO coaching market. Everyone wants this benefit and Cindy shared strategies that work for creating it. At its core, a LinkedIn group should be a central place to host discussions with people, particularly those with the same interests as you. The real magic in groups comes from your leadership position in the group. Posting valuable and relevant content will create a leadership position for you and build trust with your audience. Now think about this. Whom do we tend to do business with? Of course, it is those we trust! Cindy has a very interesting story that highlights the ability to create deep engagement and use that to create multiple conversions. She created a niche market, found her audience, and attracted them to her. She refers to this process as “getting out of the ocean and building a pond just for your market. It provides you a unique level of control, visibility and credibility to engage your market. This engagement then creates conversions not just on one level, but on multiple levels. Kickoff - Getting started requires strategy and planning. Define your market. Find out where the target audience is and meet them, and communicate with them. Communication Plan - Plan to communicate value and do in a concise manner. Specifically address this issue, “why should someone in your audience follow you?” Next, sustain your communication flow of value. In Cindy’s situation, she is giving her audience the ability to cut through the noise and find information valuable to their career growth. She is the filter for her audience to get insightful information they are seeking. Growth – There are a couple of elements here. First, you need to be able to attract and keep people in the group. A sustained flow of valuable content helps significantly. In line with this, you will need to be available yourself or have someone available to moderate the content on an as-needed basis. Evolve the Group – It’s your pond but it isn’t a pond in isolation. Evolve the communication, the group membership and moderation as conditions dictate. When we talk about conversions, a conversion does not necessarily need to end up in the phrase, “Oh, I sold this, that or the other to someone.” The conversion could be part of a bigger process. For Cindy, there are a series of conversions that are building upon themselves. Here first conversion was to raise her credibility and visibility to her target audience. She ultimately has become the logical person for them to find when they have an item that they need to be addressed. In short, she has become a “thought leader” for her market. And… that’s not the only conversion for her. She has client-related conversions. She has conversions related to recruiters. Then she has organizations coming to her to ask her to speak on related topics. That also, in effect, continues to raise her credibility and visibility. When performed correctly, sustained engagement ends up creating conversions, which like a snowball rolling downhill, continue to grow and expand. To be fair, yes it may have been a little tough to get this rolling from the beginning but once you get it rolling, the benefits just increase in an exponential level, depending on if you’re looking at quantifiable benefits, intangible benefits or tangible benefits. Cindy shared her strategies that work in terms of building a business asset. What are some of yours?